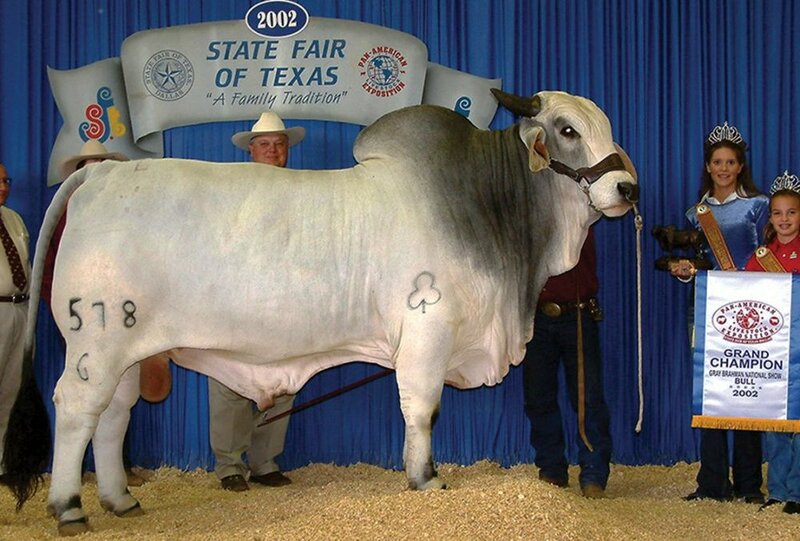 Show Cattle — J.D. 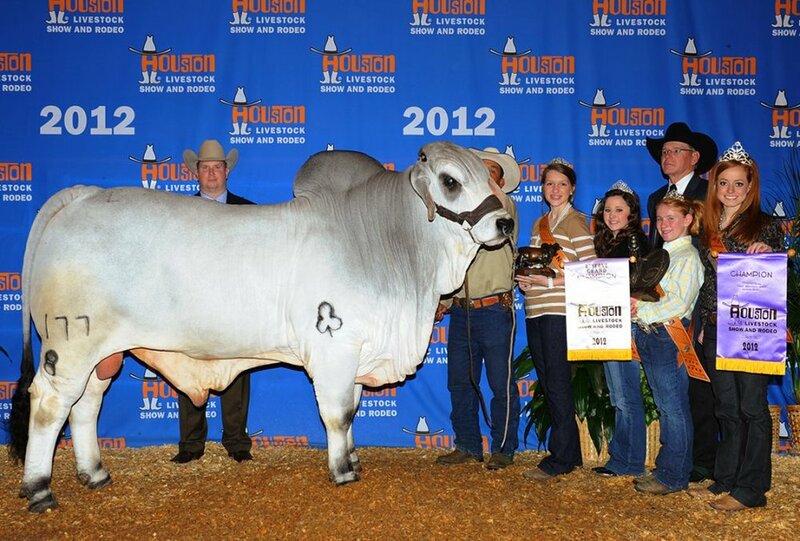 Hudgins, Inc.
Livestock expositions have been a means of showcasing the Hudgins breeding program for over 60 years. 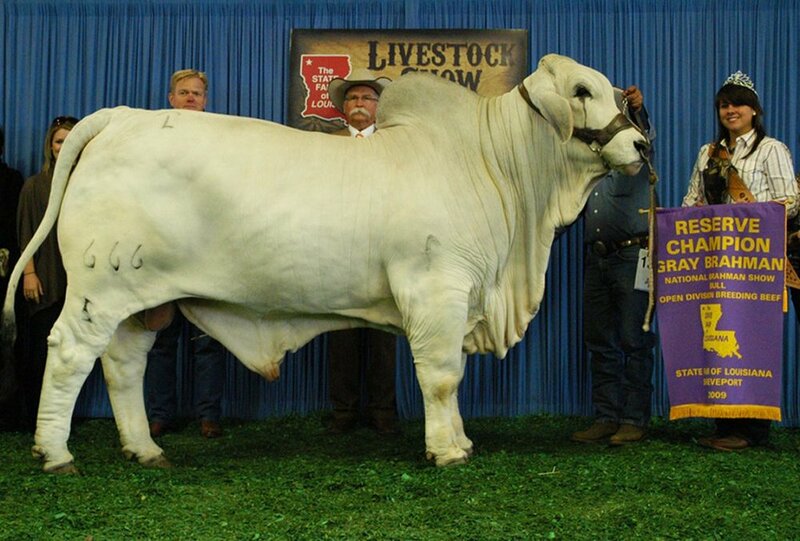 The ranch’s Manso cattle have captured over 1,500 championships, including numerous current National and International champions. Progeny of those champions are very much in evidence in the breeding program today. The J.D. 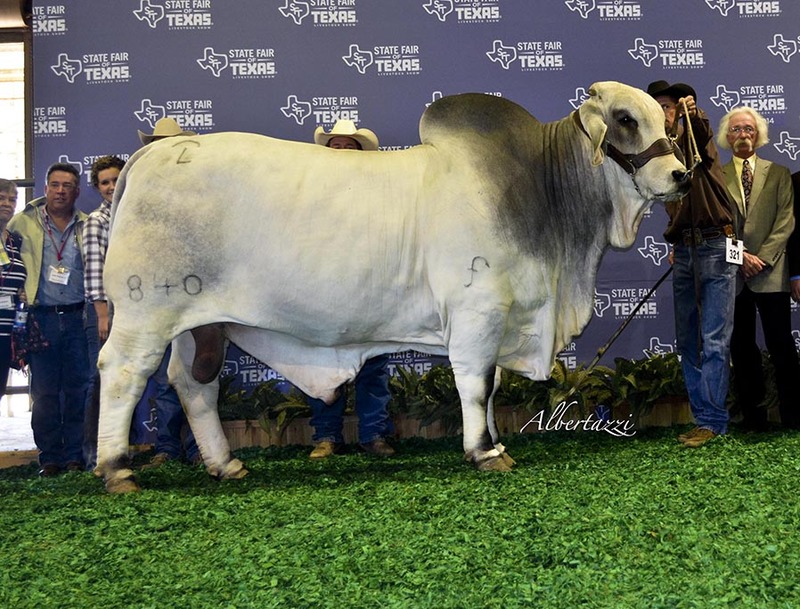 Hudgins Ranch first showed cattle in 1932 when Walter Hudgins took a group of Brahman cattle to Houston and exhibited them at the first Houston Fat Stock Show, which is now known as the Houston Livestock Show and Rodeo. J.D. 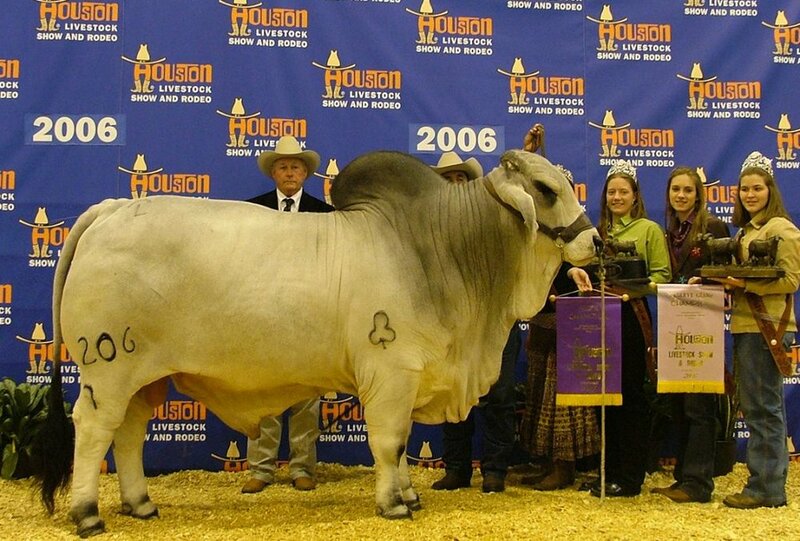 Hudgins, Inc., was honored at the 2007 Houston Livestock Show for having shown Brahman cattle at that prestigious show for 75 years. The J.D. 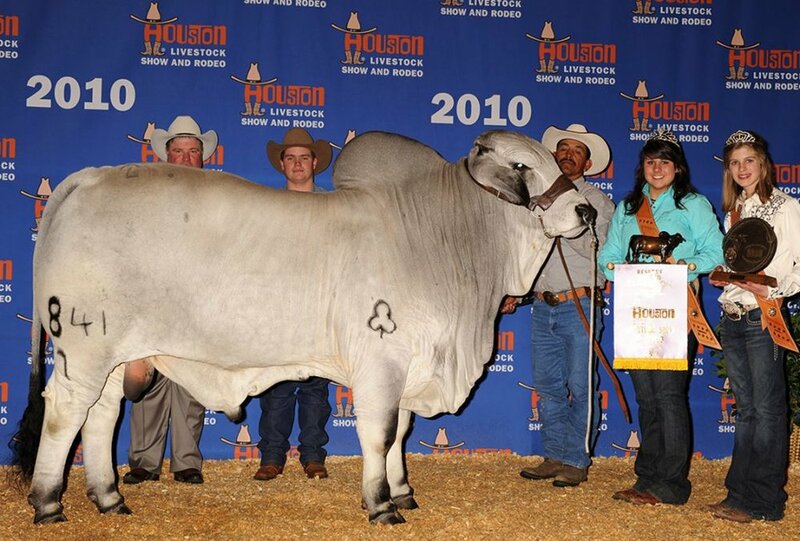 Hudgins family has been exhibiting American Gray Brahman cattle for more than 80 years. The J.D. Hudgins family says that Hudgins show cattle must have the eye appeal, muscling, bone, and soundness in order to represent the J.D. Hudgins name in major Brahman shows. Internationally, J.D. 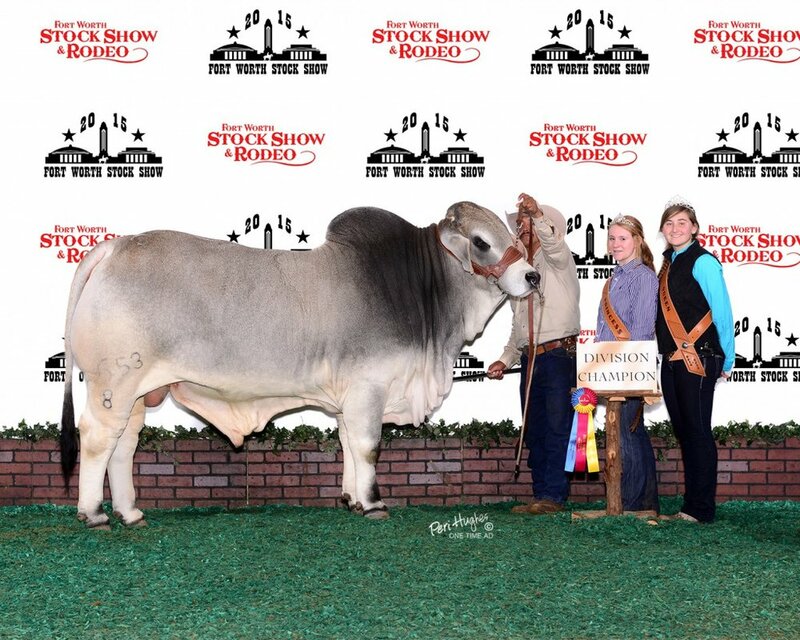 Hudgins-sired offspring continue to win top awards in major Brahman cattle shows throughout the Brahman world. Sire: JDH MR SHANNON MANSO 185/1.